Truck accidents cause serious injuries, so there is a lot at stake in a truck-related personal injury or wrongful death claim. Unfortunately, the liability issues in these cases are not always straightforward. Bart Bernard understands how to sort through the facts of a truck accident and weigh the relevant laws and regulations in order to determine which party or parties bear legal responsibility. He assists claimants across Louisiana who have suffered because of a truck accident caused by someone else’s negligence. It is often the commercial truck accident liability insurance of one of these parties that pays the compensation after an accident, but usually not without a fight. When there are so many potentially liable parties, it is common for the parties and their insurance companies to point the finger at everyone else, delaying the entire process. Bart Bernard examines the underlying evidence and works with experts to formulate sound theories of liability. This minimizes the wiggle room that truck owners, operators, insurance carriers, and other parties have to deflect the blame onto someone else. What laws determine who can be held liable in a truck accident? The trucking business is heavily regulated and no truck accident can be analyzed without considering the laws and regulations. Each state also has its own trucking regulations. In some instances, federal laws supersede state laws. But a truck operating in Louisiana must comply with both the federal and state laws. Louisiana trucking laws are less comprehensive than the federal regulations but they are just as important to understand. Louisiana truck regulations set strict rules on overweight and oversize loads. They also contains regulations regarding the commercial driver’s license (CDL) that commercial truck drivers must have in order to operate. The FMCSA and Louisiana regulations create many safety-related obligations for the trucking company and driver. When a violation of a safety regulation leads to another person’s injury or death, it can create a rebuttable presumption that the truck driver or company is at fault. This is known as negligence per se. Bart Bernard knows how to read these regulations and understand how they impact liability. He puts these laws to work for truck accident injury victims throughout Lafayette, Louisiana and Baton Rouge, fighting for fair and complete compensation. One of the important ways the FMCRA affects liability is by eliminating the independent contractor defense. In most accident situations, a company is liable for the acts of an employee, but not of an independent contractor. Determining whether a driver is an employee or an independent contractor can involve a lot of detailed questions about who controls things like the work details. Traditionally, trucking companies have used these rules to their advantage by hiring independent contractors as drivers so that they would not be liable for their accidents. The FMCRA, however, made independent drivers “statutory employees” of the trucking companies, forcing the companies to own the responsibility for their drivers. Do not let a trucking company try to deny liability because its driver was a contractor. Bart Bernard fights to hold these companies responsible for their drivers. If you or a loved one have been the victim of a commercial truck accident, you know the physical, emotional, and financial setbacks it causes. Reaching a fair and full settlement is a crucial step toward rebuilding your future. The best way to ensure your best results is to put your trust in an experienced Louisiana truck accident lawyer. Bart Bernard leads the state in representing 18-wheeler accident victims and has established a track record of victories. 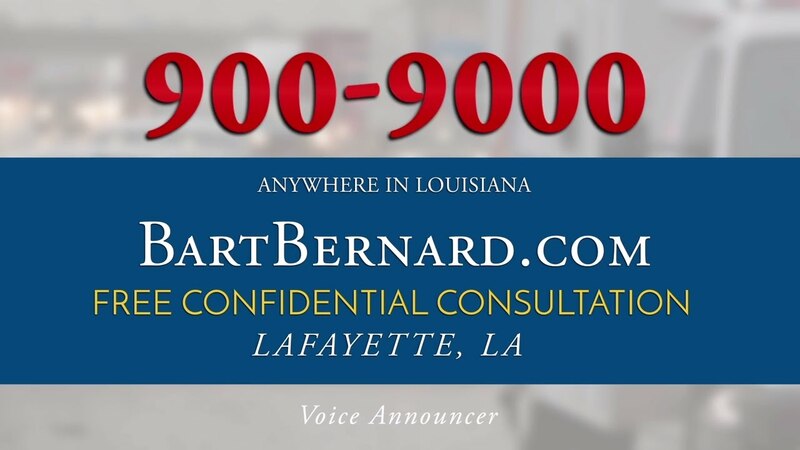 Whether you were injured by an 18-wheeler or another type of commercial vehicle, call the Bart Bernard Injury Lawyers and schedule a free confidential case evaluation in our Lafayette, Louisiana or Baton Rouge offices.